School has started, and with that our children are moving up a grade. It is hard to believe that our children grow up so fast. The time to train them up, and to help them understand what God has done for them is now. 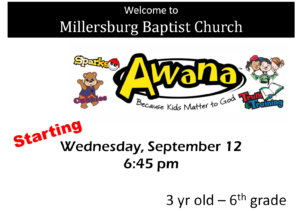 Join us beginning Wednesday, September 12, starting at 6:45 pm for our AWANA program. 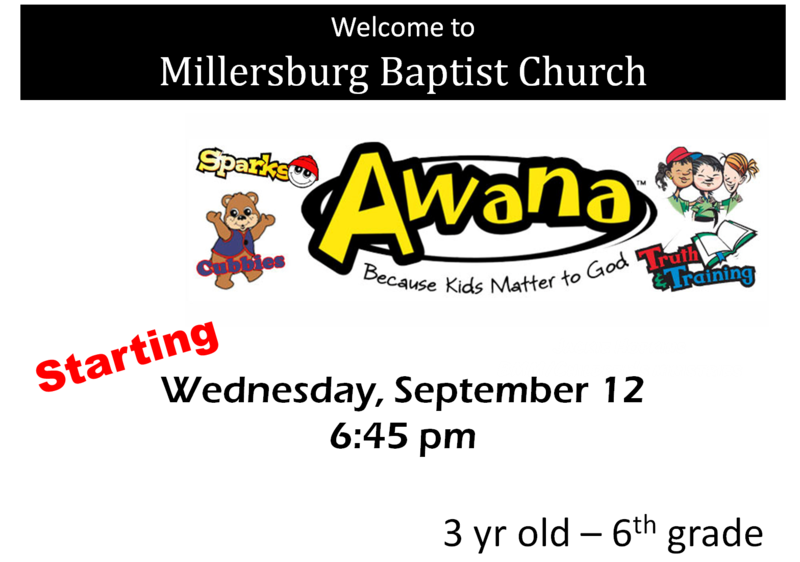 A program designed to help our children develop a relationship with Jesus Christ, and to grow in that relationship. Mom and Dad, feel free to join us every Wednesday evening, as we also explore the Word of God in an Adult study and prayer time.